Unicorn the legendary creature that has been keeping little girls fascinated. Bright purple and pink pastel colours are not to shocking but still perfect for a princess. High wall and sewn in rain cover, for those rainy days. 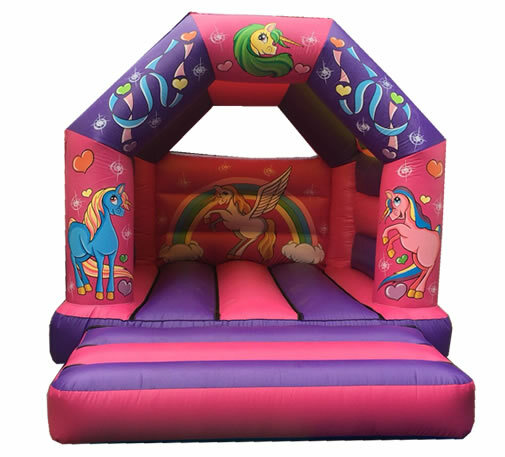 This inflatable is suitable for children up to the age of 14.